There are a few things that have been especially hard about moving from the Bay Area to rural Ohio. The friends, the weather, the outdoor activities are all among them. Food is also high on the list. Here in central Ohio we have some great options for meat and vegetables. Our Saturday farmer’s market is filled with local folks, some with small farms and some with over abundant vegetable gardens selling their tomatoes, cucumbers, onions, lettuce and peppers. There’s even a kid who sells apples from his family’s backyard tree – 20 for a $1! As a matter of fact, it feels like everything costs $1, a stark comparison to our Oakland farmer’s market where you’d be hard pressed to spend less that $5 on two peaches. Let’s be clear, they were very good peaches. We joke that Orion eats like a viking. He sloshes his water, slams his milk cup down on the table or spikes it to the ground sending liquid flying and our dog scurrying. He grabs large handfuls of food, shoving them in his mouth in rapid succession, turning to us to let out a loud “mmmmmm” with a wide, toothy smile. Or, even better, he opens his mouth wide to show us all the contents he’s been able to cram inside. If he decides he’s not interested in a food, he either throws it piece by piece off his plate or even better just pitches the whole plate off the table. He’s recently started using utensils and grips them in crudely in his fists. 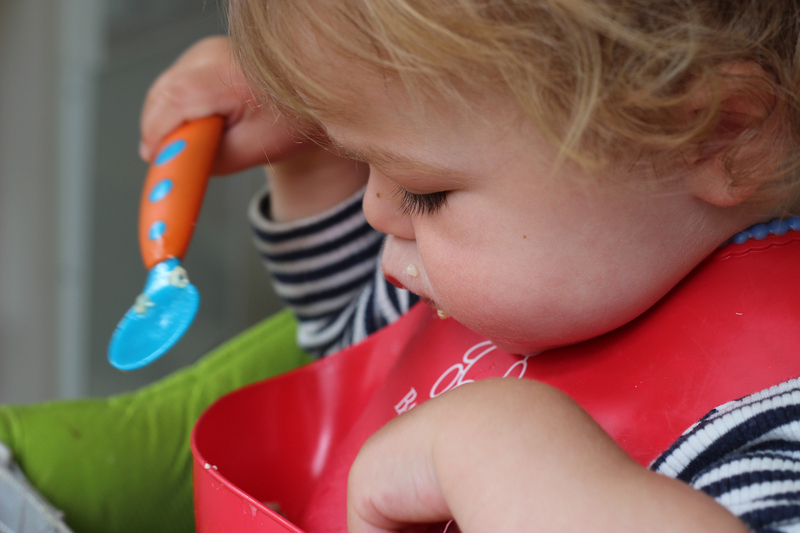 Nine times out of ten if he’s actually able to get anything into his spoon, the contents end up spilling into his bib en route to his mouth (can I tell you all how much we love these bibs, seriously!) because he’s trying to make eye contact with us to let us know how exciting this all is. A few weeks back we went for a picnic with good friends in town and shared with them the most magical place we’ve found in Bellingham. 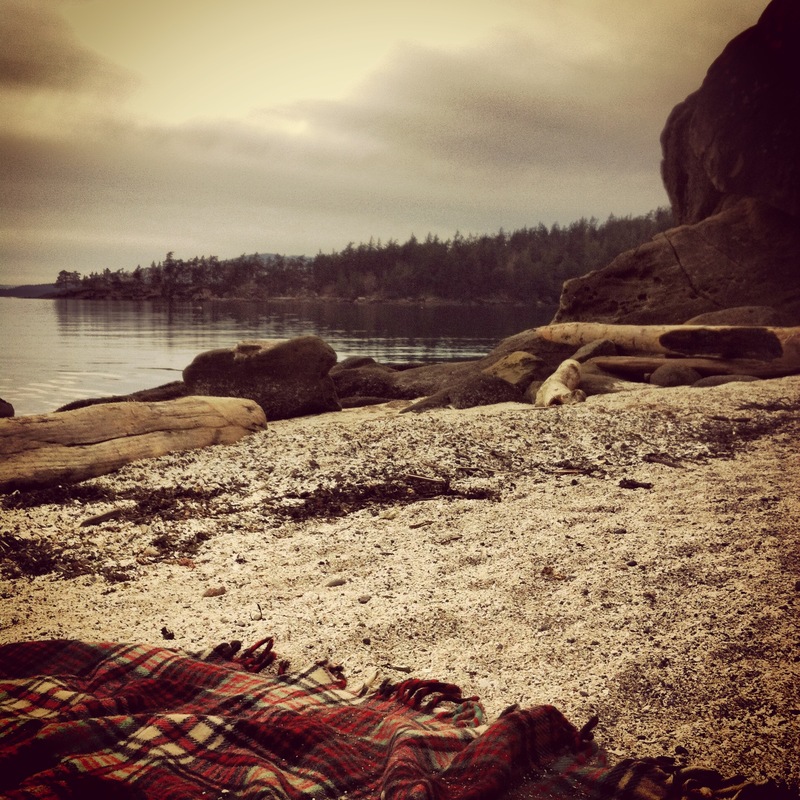 This little beach is perfect right down to its name – Teddy Bear Cove. A tiny cove facing out toward Bellingham Bay and the San Juan Islands, Teddy Bear Cove offers a little something of everything, reminding us why we chose to move to Bellingham in the first place. There are views, water access, spots to kayak, a short hike, the possibility of finding fresh shellfish, pine forests, and most importantly for some in our family – trains! We brought along a picnic to enjoy the sheltered beach, digging our toes in crushed seashells while chasing pieces of broccoli around our plate trying to finish every last little bit of this orzo salad. 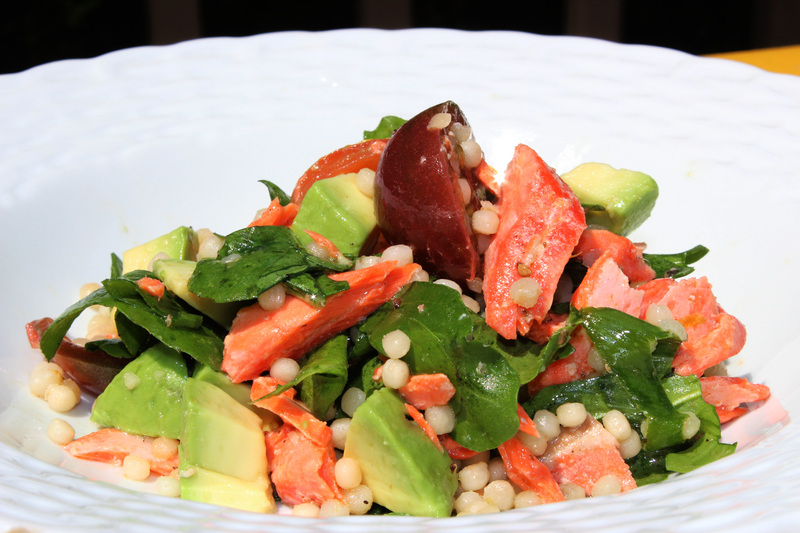 I’ve been working on this salad a while, blending several recipes from Heidi Swanson’s Super Natural Every Day. I can’t say enough good things about Heidi’s recipes. They really highlight fresh ingredients and bring a bright, clean flavor profile that is reflected all the way through her photos, writing, and outlook. If you aren’t familiar with it, please stop what you’re doing right now and head to 101cookbooks to see what I’m talking about. On soysugarsherry we often talk about balancing flavors but in my mind balancing textures is just as important. A well designed dish balances creamy/earthy with bright notes/crispness. It doesn’t have to be in equal parts but those few bites that crunch make it all work and come together. In this salad I played around with adding cucumber and almonds to balance the smoothness of pesto, avocado, and the pasta base. I also added salty feta cheese to bring a little more depth and assist the lemon in the hefty lift of rounding out the brocolli. This is one of those salads that simply sings the Soy Sugar Sherry mantra. 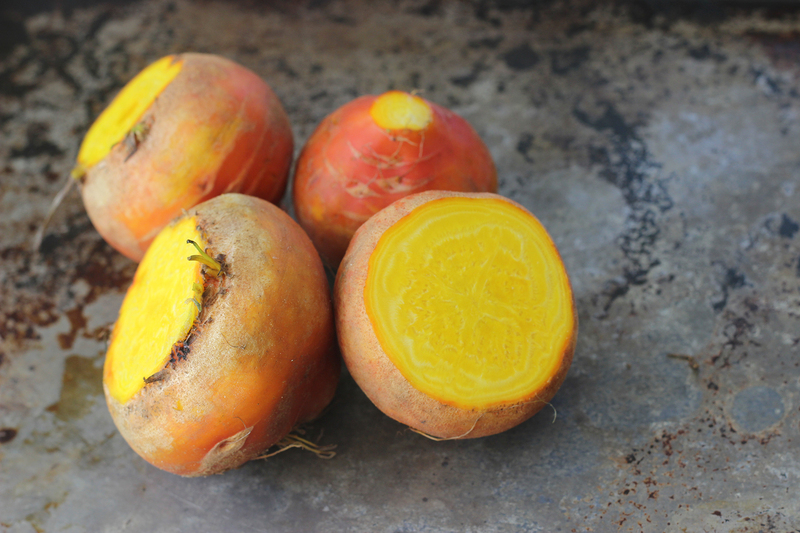 It’s got a great balance of salty, sweet and savory and provides the basis for endless substitutions. Making this salad also uses a number of handy flavor boosting techniques that can be applied to almost any warm salad dish. It’s hearty enough to be a stand alone lunch or a side dish with, for example, roasted chicken and a green salad. Wheat berries are the wholegrain form of wheat. 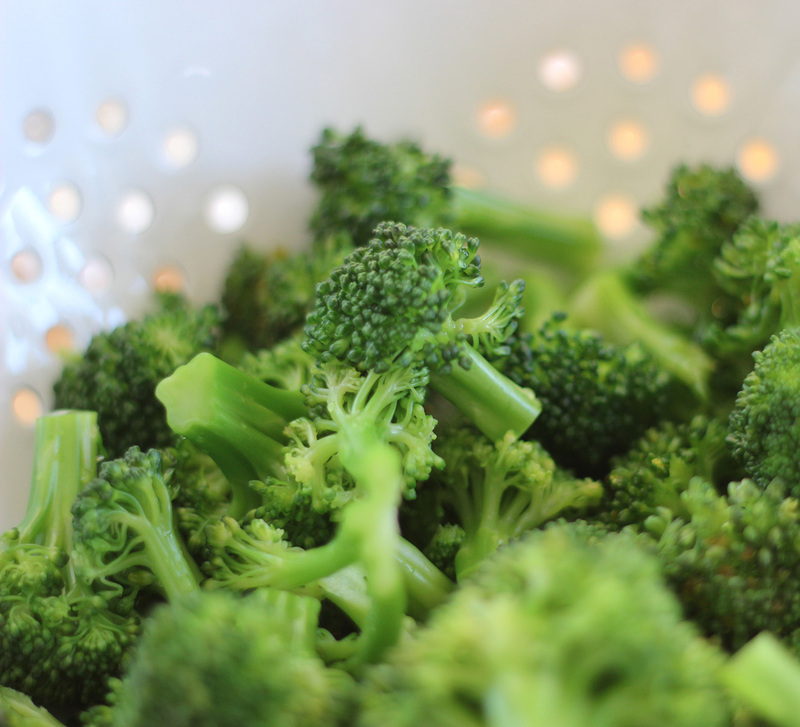 They have not undergone any processing, which means that while they’re full of vitamins and fiber, they also take a little while to cook – approximately 45-50 minutes. While you may easily be able to find wheat berries in the bulk section at your local Whole Foods or health food store, here in central Ohio I was only able to find Bob’s Red Mill brand of organic hard red spring wheat berries, not that I mind Bob’s. There are other kinds of wheat berries than the hard red spring variety – hard white and spelt for example. I have yet to cook with these but will let you know when I do. 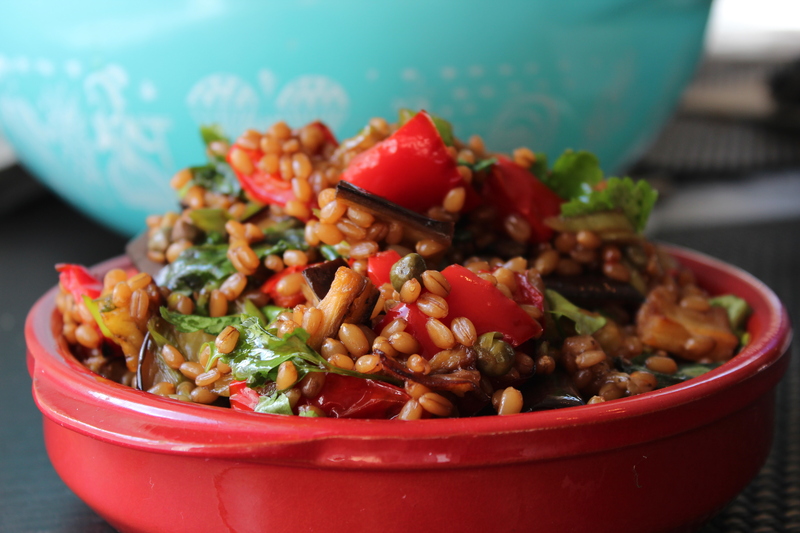 For this recipe, I soaked my wheat berries over night. This is optional and to be honest something I only do about half of the time when I’m organized enough to plan a dish more than 2 hours in advance. Soaking does cut down on the cooking time, but only by about 15 minutes. Because cooking wheat berries feels like a commitment, and because they are both versatile and hearty enough to keep in the fridge for a week, I tend to make more than my dish calls for and reserve some undressed berries in the fridge for salads or side dishes throughout the week. We are Mollie and Pauline, and both of us spend the vast majority of every day thinking about food, making food, or shopping for food. We live in small towns in the northeast and northwest and are both new moms trying to find the time to still cook the meals we love. 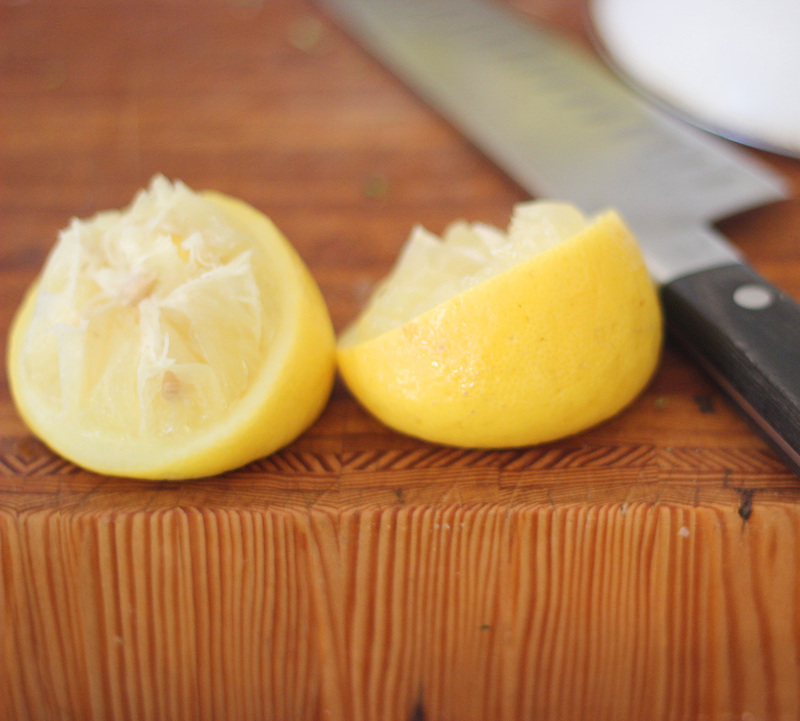 Join us as we share our adventures in finding new flavors and foraging ahead in the kitchen. Click below to follow our blog, and we'll send you an email with any new posts so you can see what we're up to.